Just Some Of What You’ll Discover In Save The Marriage.. 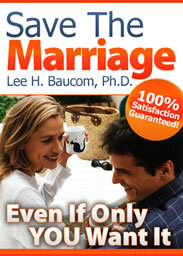 The “real” secrets to a healthy, stable, loving marriage. Why “hard work” on the relationship isn’t always the answer. How marriage counseling can be dangerous to your marriage’s future. For the record… let me just say that your guide is the most sensible, real, self help book of any kind that I have ever read… …These things that you talk about in your book are real, so simple—THEY JUST MAKE SENSE… My relationship with my husband has gotten so much better !! thank you, thank you thank you” – Robin R.
Why true intimacy is a lot closer than you think–and how to get there! What “the TIE Elements of Communication” are, and how they can transform your communication. Why arguing is a waste of time — and the amazingly simple secret to get around it. Why anger and resentment are so dangerous, and what to do about it, regardless of whether you or your spouse is angry or resentful. How to make paradigm shifts (literally, quantum leaps!) in the relationship. Much, much more about how to transform your relationship. How to begin saving your marriage beginning in less than an hour, maybe in less than 10 minutes! In short, how to have the marriage of your dreams. How To Save Your Marriage And Stop Being Controlling..
Are you trying to save your marriage after hearing a spouse tell you that you are always controlling. 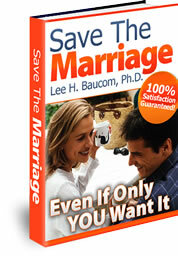 How can you save a marriage when a spouse has given up, due to your controlling behavior? Hang in there, and we will explore that question. I hear from people almost everyday, telling me that their spouse has just revealed how angry and hurt they are by the controlling behavior – many on the verge of divorce, because of this dynamic. Many people tell me that they did not even realize that they were being controlling. However, in reflection, many are finally ready to admit that they, indeed, are controlling. Sometimes, it comes at the stake of having to save a marriage that is on the verge of falling apart. So what does cause controlling behavior? Why do some people seem to need to find a way of controlling others? Why is it that many people find themselves constantly seeking to have the outcome the way they wanted, eliminating anyone else’s outcome or opinion? Controlling behavior has a central theme to it. In fact, there is one central cause to controlling behavior. The reason behind controlling behavior is very important to understand if you want to change that behavior. In fact, until you fully understand how much this one emotion affects you, you will be constantly working and striving to control the situations around you, even if that is a losing proposition. So what is that one emotion? The answer is very simple. In fact, it may seem too simple. Hear me out. I think you will agree that the one reason for controlling behavior is . . . FEAR. That’s the emotion. That’s the emotion that will get you to shift to being controlling, even when things are going well. The interesting thing is that some people have elevated their controlling behavior to the point of trying to pass it off as an okay trait, even a positive attribute. I have heard many people say “I’m a control freak,” “I just like to have things my way,” or “I’m just that way.” The way it is said betrays the fact that they are, deep down, rather proud of this fact. Whenever we elevate a negative trait, we know we are headed for trouble. We have managed to justify our own behavior, and force it on other people. Sure, we all want things our way, but sometimes, we get to the place where we can’t have it any other way. We won’t even allow others to have an opinion. And if they try to do something, and it is not up to our standards, we take over and tell them what to do, or even do it ourselves. When this behavior gets ingrained, then it has shifted to a dangerous level. This often happens in a marriage. And unfortunately, when there is a marriage crisis, it’s even easier to become more and more controlling. This is because fear is getting activated on a regular basis. You are fearful that something could happen, that you will lose this relationship, and so you control more and more. Fear. That is what drives controlling behavior. Even if you are unaware of the fear and anxiety. Even if you are aware of it. The fear comes from two places. One is the fear of being out of control. This is the fear of not being able to control your environment, a thing spinning in ways you don’t want them to, and of feeling and inability to move things in the direction you want. The second is related. This is the feeling of fear that you will not get what you want and what you think you need. When we’re afraid that we are not going to get what we want, we can to try to control the situation, our attempt to get what we want. That fear can cause problems in a relationship. Because in the midst of trying to get what we want, we are probably affecting what somebody else wants in a negative way. In other words, if I am trying to force the situation so they get what I want, you’re likely not going to get what you want. But let’s be clear at this point: control is an illusion. It does not work. It is not effective. And it only creates resentment on the part of those around us. So why do we do it? Because on the few times that it does actually work, at least short-term, it convinces us that we CAN control the situation. We get positive reinforcement for something that doesn’t really work. Then, when it doesn’t work, we keep remembering the time that it did work, and decide we just need to try harder. When we do that, we just become more controlling. Sound familiar? Is this a place where you sometimes find yourself? Can you relate to what I’m saying? You see, built into the control is the belief that we are right. If you didn’t think you were right, you would not be trying to control things. Control can come from the best of intentions, and still destroy a relationship. Over time, controlling behavior causes resentment on the part of the person who is being controlled. Over time, it also forces the person who is controlling to always be right and to always be responsible. In that set-up, both people lose. In a marriage, when there is a controlling person, or controlling behavior, the other person has to allow him/herself to be controlled. The couple sets up a dynamic of control/controlling between them, and it begins to eat away at the relationship. What often comes from these relationships is a parent-child relationship between spouses. And whenever there is a parent-child relationship, that child will eventually hit the teenage years. At that point, you suddenly have a rebellious spouse on your hands, even if they have benefited from the controlled/controlling relationship. A controlled/controlling relationship is not about being a WE. It is a you/me relationship, where one person’s opinion is lost to the other. One’s opinions and actions are negated by the other. That is where the real harm is done. An important point about controlling behavior is that it is based in one person’s standards. A standard is something that you expect of yourself. It’s the standard of your expectation for how you will be in the world, how you will treat other people, how you will fulfill your duties, and how you will interact. Unfortunately, we often expect others to have our same standard. This is not the case. The problem comes, not from our own standard, but when we try to place it on somebody else, and are upset when they do not fulfill our own standard. Practically speaking, it is not possible to give your standard to someone else. Again, this is not a philosophical statement, but a practical statement. For example, you may have a standard that you will be honest with people around you. However, you cannot expect those people to be honest with you. To be clear, there may be consequences if someone is not honest with you, but you cannot force them to be honest. This often happens with parents and children. Parents will place their standard on a child, but the child will do otherwise. Which is why I say this is not a philosophical statement. It would be nice to be able to make sure that our children follow our high standards. But it is not within our possibility. For example, with the standard of honesty, you may have consequences for someone if they are dishonest with you, but they may be lying to everybody else around them. There is nothing you can do to stop that. Practically speaking. Again, this is not philosophical. Yet when we are in our controlling spot, it is often because we were trying to get our standard fulfilled by somebody else. For example, many couples fight about housekeeping. One or the other will perform a household duty that will not be to the standards of the other person. The person with the higher standard, and higher frustration, treats the other like a child. They try to teach them, coax them, coach them, or force them to do the duty correctly. This is not, as it is often phrased between the couple, a question of doing it correctly or incorrectly, but a difference in standards. However, it is manifest in controlling behavior. So what do you do about your controlling behavior? If your spouse is telling you that they can no longer tolerate the controlling behavior, how do you solve this issue? I have some suggestions for you. Acknowledge what you are doing. Notice the times that you feel the need to take over. Notice the times when you either coach or coax someone to do something your way. Acknowledge that fear is driving you. Then consider what this fear might be about evokes a fearful response for you? What feels at risk? Then notice that the behavior is truly worthless. And usually ineffective. Couples have the same arguments over and over, throughout the years. Rebellious behavior is often the answer to the controlling behavior. In the end, at best, you get a stalemate. At worst you get conflict, anger, resentment, and finally disdain. Seriously, breathe. Remember, controlling behavior is based in fear. Fear happens deep in your brain. Threats are perceived long before you are consciously aware of them. Your unconscious brain detects the threat, and put you in fear mode. Breathing is a way of short-circuiting the process. But you have to breathe correctly. You want to learn how to belly breathe, if you do not know how to do it already. If you don’t know how to do this, it’s easy. Lie down on a bed, place a hand over your chest, and place a hand on your belly button. Now begin to breathe, so that only the hand over your belly moves. The hand on your chest should be completely still. When you do this, it is relaxing breathing that tells your brain there is nothing to fear. So, when you feel yourself getting anxious and uptight, and feel the need to correct how something is happening, or force an outcome, belly breathe. Breathe slowly and consciously, and your brain calms down a bit. Be mindful of the interactions. Identify out where you become controlling. With whom do you become controlling? What circumstances trigger you to become controlling? Began to be mindful of those moments. Watch yourself as you move into those circumstances. Observe your thinking, and what happens to your thinking. Your goal is to recognize, more and more, when these moments occur. As you notice these moments, you’ll be more mindful of the response it elicits in you, and can decide on a more conscious reaction. Begin to develop your emotional awareness. For many of us, when we are fearful or anxious, we stop noticing our emotions and start acting on our emotions. But you may find that if you just sit with your emotions — not react to your motions, but just sit with them, they are not dangerous, nothing will happen, and you can choose not to act or react to the emotion. Emotional awareness is not about changing the emotion, but realizing the emotions as they are, and realizing that it does not require any particular action on your part. This is when you can decide to sit with your emotions, rather than react and respond to your emotions. Be open to other possibilities and potentials. Are there other ways of parenting a child? Are there other ways of loading the dishwasher? Are there other ways of dealing with the bills? Are there other ways of deciding what should be done and what should not be done on the weekends? If you get away from the assumption that there is a wrong and a right, you are left with the possibility of other options. Things may not be done your way; that does not mean it’s the wrong way. Richard Carlson, the author of Don’t Sweat The Small Stuff, was famous for saying that you can either be happy or you can be right, but you can’t be both. Which do you want to be? Being open to possibilities leads to happiness. But only after you get for your anxiety and fear. One final thought for you: don’t suddenly and without notice do the opposite of controlling. Don’t go from being controlling to suddenly giving up all control. That’s not fair either. As is often true, health is a place in between. It’s where both people are responsible, and make decisions, and share perspectives. Imagine for a minute that you’re the trapeze catcher of a trapeze team. Your partner has for years released the trapeze bar and lept into your arms, waiting to catch your partner. The two of you have done it over and over and over. For years you have done this. So much so, the both of you know exactly how to do it, even with your eyes closed. In fact, with the flips that your partner is doing, your partner doesn’t even see your hands, but grabs them every time. Each time your partner jumps, you catch. Then one day, without any notice or warning, you just quit catching. Your partner is left flailing through the air, without a clue as to what has happened. This is what happens when somebody goes from being very controlling to refusing to do anything, giving up all points of control. Both people are off-balance, and neither is going to land safely. Be clear about the places where you decide to give up control, and be clear about how to share that responsibility. Controlling behavior comes from fear, but a fear that is unwarranted, and useless. The threat is not real, nor will catastrophe befall most of the issues around which people control. Today is the day to give up your control, and come to a partnership. It’s time to start a WE and make a shift to a new partnership.